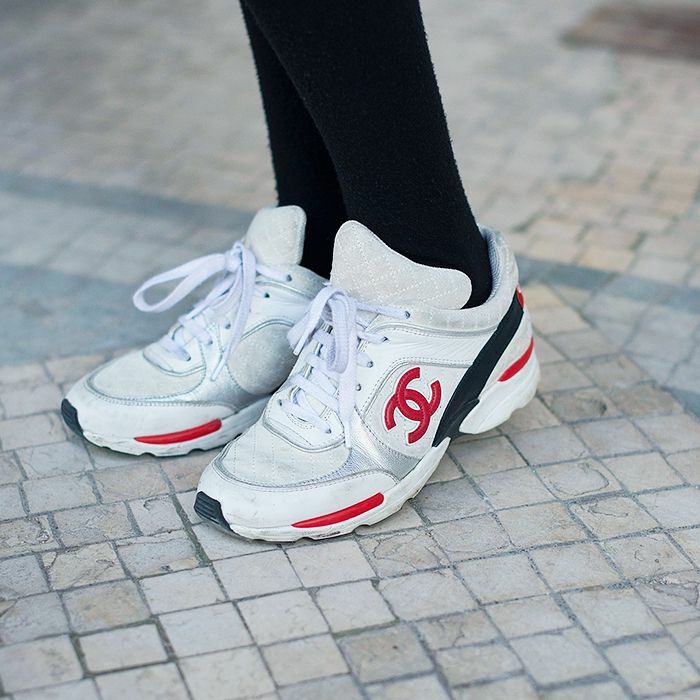 Time to grab a paper bag and breathe deeply: Chanel has just dropped an epic number of "dad"-style trainers on its site. Originally shown as part of its S/S 18 pre-collection show, the fashion house's sneakers are bright, white, and edged with either red, orange, pink or blue, and come in either a high or low top. Call me ridiculous—and at £710 a pop, I don't know who I'm kidding—but I can't help lusting after them all day every day. As someone who wears trainers 24/7, what could be more luxurious and a worthwhile investment than wearing a pair from Chanel? For example, I could legitimately wear these to an important meeting, and I guarantee people would coo over them as much as they would if I walked in with the latest designer handbag on my arm—and we all know that this is the power brand that builds cult items you love for a lifetime. I'm sure that these will be fairly divisive, but Chanel has definitely got my vote—and that of the street style set because they're already being spotted in them. Keep scrolling to see the shoes on the catwalk and shop them right now. Style Notes: The chicest gym outfit we've seen for a while. Style Notes: I wouldn't mind getting my hands on this Chanel tracksuit either. These would look great with just leggings and a sweater. To be worn with a blue dress, perhaps? A bolder choice but this hue suits everyone. Chanel agrees: Pink isn't going anywhere. Keep the focus on the shoes and just wear a black or white dress with these. The '"dad" sneakers I'd love to own. The prettier version of the low-tops with a pink lining. 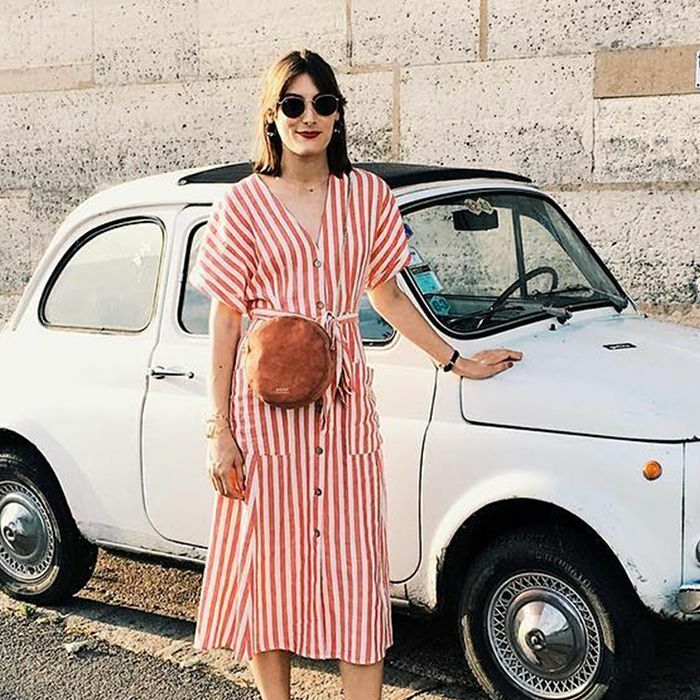 I guarantee you'll see these all over street style stars.